Fill out the Fantasy Playoff Bracket! In PRO Fantasy Chess, you get to choose 16 players for your team. Your score is the total points that your 16 players score during the week. Each week, the top three participants win Chess.com premium memberships, but if you pick the 16 players who have the best scores in their group, you will win the Commissioner's Bounty prize of $10,000. 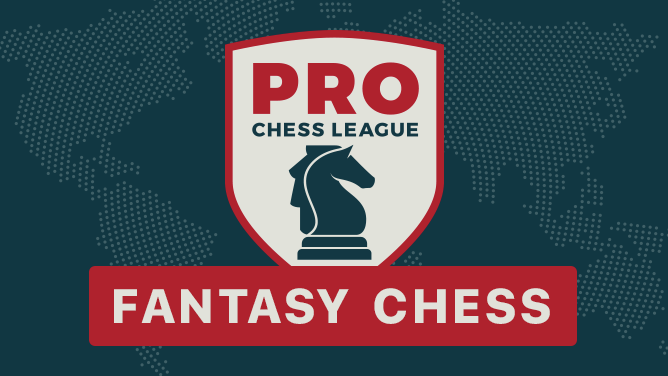 The Fantasy Chess form will be posted at prochessleague.com shortly after pairings are released each week. The deadline to enter is ten minutes after the starting time of the first match. If you enter multiple times, only your most recent entry will count. Pick the top scorer on all 16 boards: $10,000!! !